Bringing together two leading events from across the category, BASE and MESA invite you to Save The Date for the ultimate industry summit. 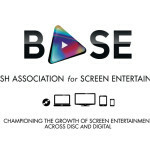 Charting the future of the category, BASE will reveal the very latest in consumer trends and showcase dynamic and exciting content due for release in 2017 and beyond. With a focus on driving revenues and business efficiencies MESA will draw on insights from senior executives to shine a light on harnessing opportunity across new products and technologies to respond to the evolving wants and needs of the market. If you wish to attend, please contact the BASE Team here. Priority will be given to members of BASE and, MESA Europe for their respective sessions as well as ERA Members and other event partners and sponsors. Some restricted session tickets may also be made available.